CMM has been under the continuous ownership of the Treib family for three generations. For over 55 years CMM has been extending the life of critical industrial components through the use of state-of-the-art thermal spray coating processes and materials. CMM can increase the service life of your worn, eroded, corroded, or new parts by 2 to 10x. 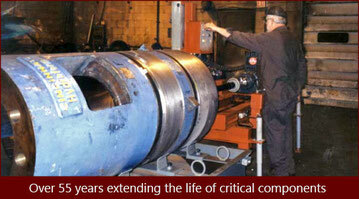 CMM repaired parts are more of a permanent repair, than a quick fix.